Happy Saturday y’all! It’s beyond cold here in Charlotte, brrrr! I’ve been dreading getting out of bed but a package just arrived and the way people steal these days I couldn’t leave it outside for too long! I’m still a little bitter about my boots being stolen if you can’t tell! 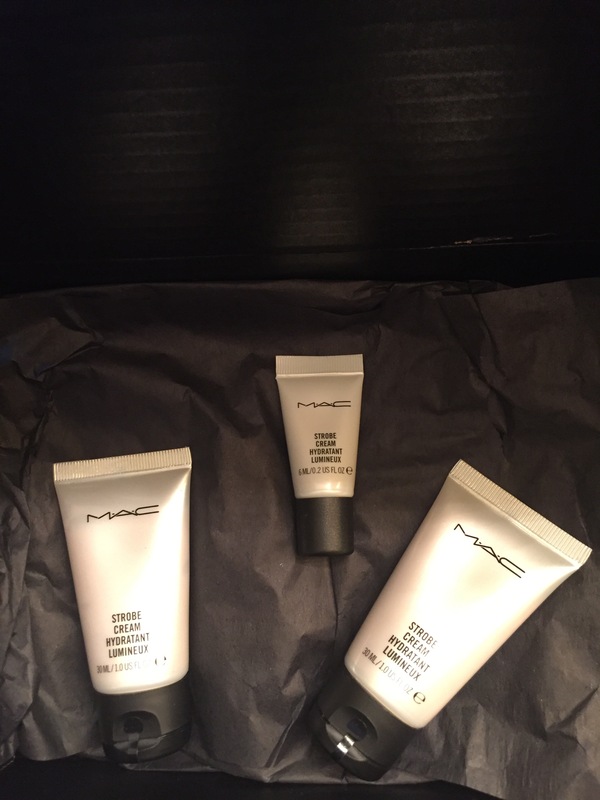 Anywho, if you remember a few months ago I wrote about an awesome MAC product that gives you an awesome glow! It’s called strobe cream and my life has been changed forever since I discovered it 😊 but, it is a little pricey. I think it’s about $34 and for only 1.7 ounces. But being the bargain shopper that I am, I found a way to get it cheaper! You can buy the travel size, which is one ounce for only $12! I order online because the stores rarely have travel size anything in stock, and you get free samples! And most of the time you get free shipping! They’ve gone up $2 so I guess more people are buying them, but I hope the price stays low for a little while longer. This will last me for months because a little goes a long way. I get 2.2 ounces for much less than the full size. Have you guys tried this product yet? Or do you have a fav product to get your glow on?